If you are a parent or guardian of a high school or middle school student, be sure to check out the school calendar, student grades, up coming events and much more. To access these areas click on the Plusportals link at top right-hand corner of page. Mobile apps are also available for iOS and Android® make it easy for the school community to stay connected. If you have not received your logon credentials, contact our Information Technology Office (ITO), by following this link www.123formbuilder.com/form-3859845/Emailverify. You will be assigned an account using your email address. We hope you will utilize PlusPortals often as it keeps you informed of all the news and events going on at Providence. 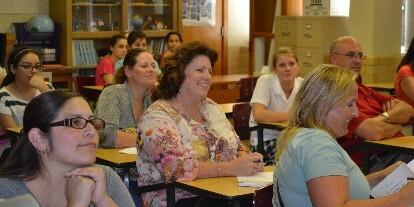 Again, thank you for visiting and welcome Providence Parents! Thank you for visiting. Our goal at Providence is to provide many means of communication to our parents.